You can update your passport information any time before the deadline by following these easy steps! 1. Log onto My Profile using your email and password or Connect with Facebook. 2. 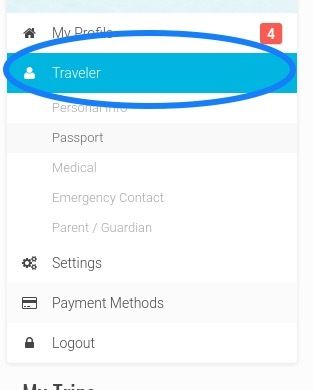 Click on "Traveler" on the left side of the page. 3. Next, click on the "passport" tab at the top of the page. 4. Add your passport details here. Although this is not mandatory, it is strongly recommended as invalid passports may cause problems that delay or even deny access to your destination. 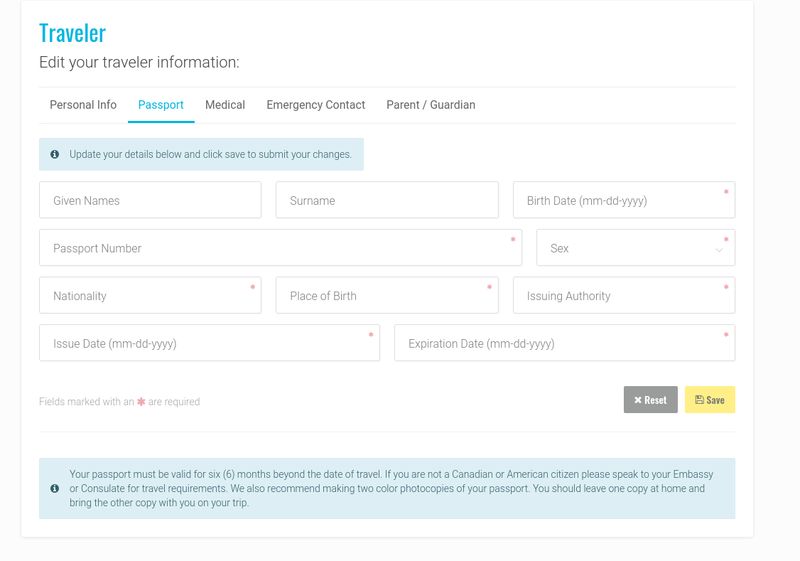 If you need to update your passport details after the deadline, there may be a fee of $150 to correct your name with the airline as we have will have to reissue the ticket.